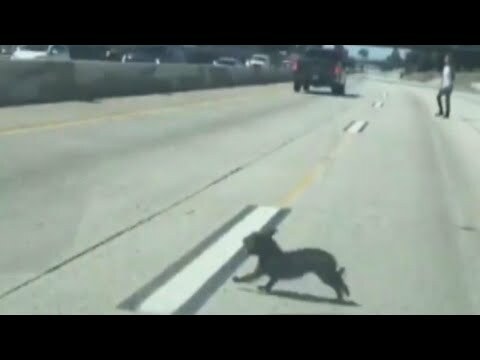 A 1-year-old pup went on the run of its life last weekend as it zigzagged in between cars on a busy California freeway. The pug-poodle mix could be seen in video shared to social media this week darting into traffic in Ontario. The pup ran across five lanes as drivers slowed to avoid hitting it. Brave passers-by even got out of their vehicles to try catching the dog, to no avail. “She’s running. He’s running. They’re all trying to catch the dog,” the flabbergasted driver can be heard saying.